Rise Adventure & Wellness Solutions facilities are in Greater Victoria. Our studio is in Royal Oak at #202-4500 West Saanich Road. This is where we run the majority of our fitness classes such as Family Bootcamp, Vinyasa/Yin Yoga, Personal Training and so much more! Most of our equestrian programs are run out of Beowulf Farm. We have also partnered with some existing facilities in the Saanich and Brentwood Bay areas to offer our adventure programs. 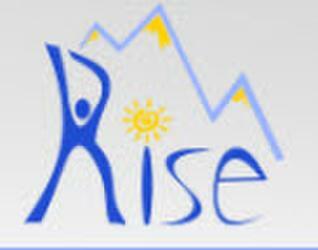 Our mission at Rise Adventure & Wellness Solutions is to build self-efficacy, confidence, health awareness and capacity for recreational physical activity participants, families and those with special needs through unique and alternative programming. Rise Adventure & Wellness Solutions (RAWS) was envisioned by the co-founders Michelle Lynnes and Erin Clark. They have been friends since childhood and have followed similar paths throughout their lives. Together, they have always strived to find new and exciting ways to get fit, stay active and enjoy the outdoors. This is something that has always been an important part in their lives and they want to share that with others.